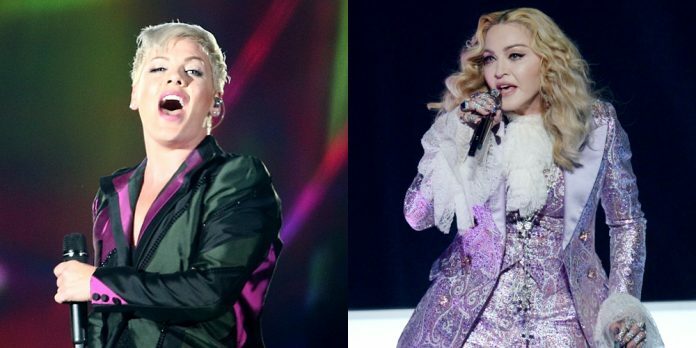 Can you believe Pink’s party jam “Get the Party Started” was initially penned for Madonna? During a recent profile piece for Rolling Stone, the composer behind the smash record, famed songwriter Linda Perry, revealed she’d written the song somewhat on the fly, not really aware she had a hit on her hands. 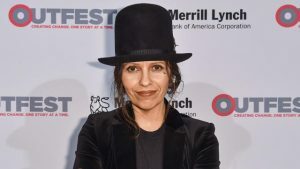 Linda Perry – who has penned some of the biggest pop songs of all time, including ‘Beautiful’ for Christina Aguilera – has revealed that she had offered the hit song to the Queen of Pop, but the ‘Papa Don’t Preach’ hitmaker, 60, didn’t want it. It’s one of her biggest hits and launched her second album ‘Missundaztood’ in 2001, which sold over 13 million copies worldwide. and reached the top 10 in many countries. But Pink’s 2001 single Get The Party Started was originally intended for a different singer: Madonna. Linda Perry, the song’s writer and producer, revealed the surprising news in an interview with rolling stone on Saturday. The track, which became Pink’s best-selling song at the time, was originally sent to the Material Girl singer – who turned it down. Wrote the hit: Linda Perry, the song’s writer and producer. On how it landed in the ‘So What’ singer’s hands, the 53-year-old songwriter spilled: ‘I sent it to Madonna and she passed, but a week later, Alecia [a.k.a. Pink] called. She left me this really crazy message how she would come find me if I didn’t call her back,’ Perry told the publication. The former 4 Non Blondes front-woman revealed that Pink nearly missed out on recording it as she wasn’t sure that she was the right person for the song. The song – which is now 18-years-old – went on to peak at No. 4 on the US Billboard Hot 100 for Pink, and was certified Gold in the United States. Perry revealed that she initially wrote the hit record as a bit of a joke to try out her recording equipment. ‘That was kind of a joke, to be quite honest.  When I moved to Los Angeles, I called up a friend and said, “Hey, what’s that sound on the radio right now that’s going on? What’s that on MTV? What’s this hip thing going on?” To me it was godawful, just ridiculous. ‘He said, “Oh, it’s pretty much what everybody’s using.” So I got ProTools and set it all up. Get the Party Started was just me figuring out what all this stuff does. I came up with that beat, laid it down, found all these weird chords and sounds and put the horns. Pink is married to former professional motocross racer Carey Hart and they have two children, seven-year-old daughter Willow and son Jameson, two. She’s one of the best-selling music artists in the world, shifting over 40 million albums and 50 million singles worldwide. Previous articleLEAKED: Nokia 1 Plus Render, Specs, Said to Run Android Pie- Can it compete with Redmi GO? Can u Make such type of face?